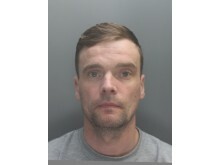 Merseyside Police have today (17th January) welcomed the sentencing of two men following the fatal shooting of John Kinsella in St Helens last year and Paul Massey in 2015. At around 7am on Saturday 5th May, officers were called to reports of a shooting on St Helens Linkway, Rainhill Stoops. Despite the best efforts by paramedics, the victim, who was later identified as 53 year old John Kinsella, sadly passed away at the scene. Shortly after, a joint investigation with Greater Manchester Police was launched. This was due to further enquiries identifying similarities with the murder of Mr Kinsella and the investigation into the death of Paul Massey in Salford in 2015. 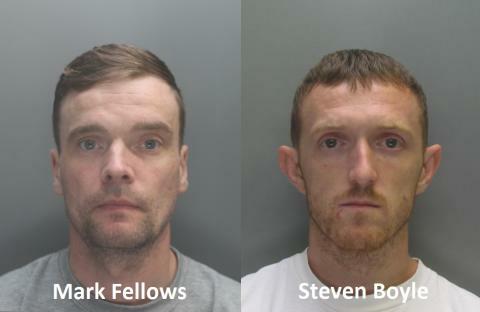 A jury yesterday (16th January) delivered their verdict, finding both Mark Fellows and Steven Boyle guilty of the murder of John Kinsella and finding Mark Fellows guilty with the murder of Paul Massey. Mark Fellows, 38 of Sandy Lane West, Warrington, was yesterday found guilty of both murders and has today been handed an indefinite life sentence in prison. 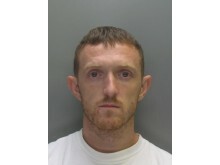 Steven Boyle, 36, of Sandiway, Heywood, was yesterday found guilty of the murder of John Kinsella and was today sentenced to life in prison where he will serve a minimum of 33 years. “My continued support remains with John Kinsella’s partner, Wendy Owen and I want to take this opportunity to praise her for her bravery for both working with us during the investigation and giving evidence in court. She is a credit to John and I am sure that he’d be very proud of her. John Kinsella’s partner, Wendy Owen paid tribute to him following the trial: “John was my long term partner, and the father of our six week old baby. “He was brutally taken from us on the morning of 5th of May right in front of me, leaving me with heart breaking images that will live with me for the rest of my life. “Our child will never get to see her dad, and John will never see her grow up and enjoy all the important stages of her life and future as any loving parent would. “Our lives have now changed forever. I will miss John with all my heart and all the plans we had made for our families future. “I hope that his killers serve the sentence they deserve and are able to reflect on what they have done. The Kinsella family also paid tribute to their loving brother: “John was born and brought up in Liverpool the only brother to eight sisters. “Being the only boy john always held a unique place in the family. After the loss of both our parents he became the backbone for his eight sisters. He was a provider, a protector, a confidant and often a peace maker between squabbling sisters. “John always had our best interests at heart, from the oldest to the youngest sister he loved to tell us all what to do, we didn’t always appreciate it but he was our brother and we would give anything to have him back. “John was dignified, compassionate and extremely generous, he had many friends, he was a devoted father and grandfather and he was delighted to learn in the weeks before his death that he was to become a father again. “We are all truly devastated at the way his life was taken in such a callous and cruel manner by the weak and cowardly actions of Mark Fellows and Stephen Boyle. “John will be missed by his many friends, and all his family and of course his beloved Wendy who we have taken to our hearts. “We at this point would like to put on record our true appreciation for all the hard work and dedication of the police, the CPS and the court for making these convictions possible and affording justice to our family.